How do I configure Fake Webcam in LIVEVIDEO? 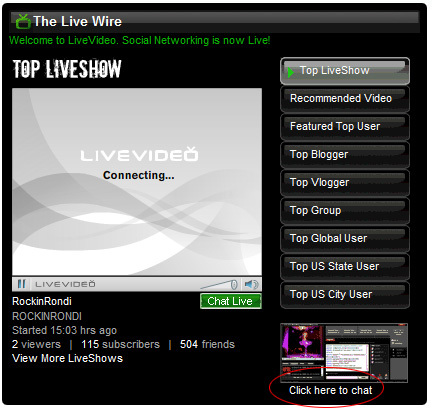 Click on 'LIVESHOW' tab from your home page. 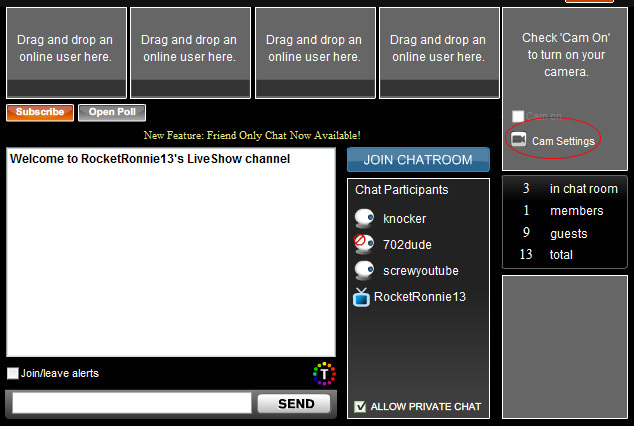 Click on 'Click here to chat'. Click on 'Cam Settings' button. Select 'Fake Webcam Source V6.1' from the dropdown list. Must check the privacy settings 'Allow' and then click 'Close' button. Now check on 'Cam on'.